This week the Horror Duo celebrate the Spring season with a couple of Spring themed films. 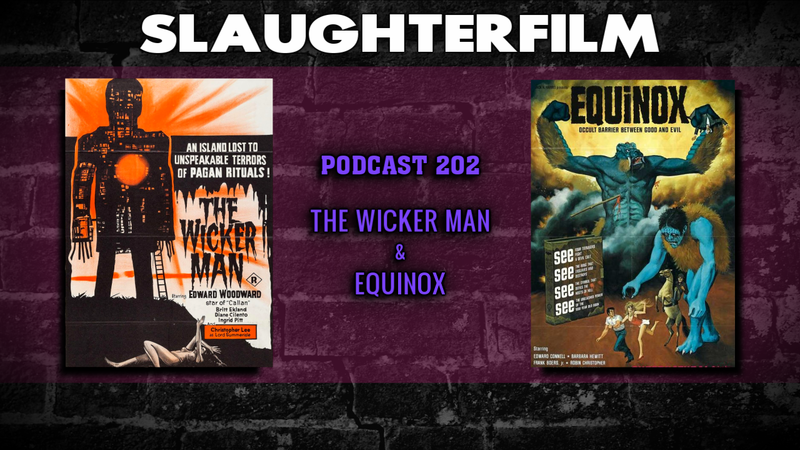 Forest shares his thoughts on The Wicker Man...the ORIGINAL with Christopher Lee. Cory takes on the Criterion released student film Equinox. Cory talks about building a retro-arcade, the second part of Forest's The 50 Best Film of All Time is now available, Ted Turner & Criterion are making a film only online streaming service called Film Struck, and Forest & Cory long for low-rent sci-fi re-runs. All this and Forest talks about avoiding Brontosaurus poop. For more Slaughter Film news and reviews, as well as show notes and special events, make sure to visit our website; SlaughterFilm.com.